For the first time, scientists have engineered the complex biological process of translation into a designer organelle in a living mammalian cell. Research by the Lemke group at the European Molecular Biology Laboratory (EMBL) – in collaboration with JGU Mainz and IMB Mainz – used this technique to create a membraneless organelle that can build proteins from natural and synthetic amino acids carrying new functionality. Their results allow scientist to study, tailor, and control cellular function in more detail. 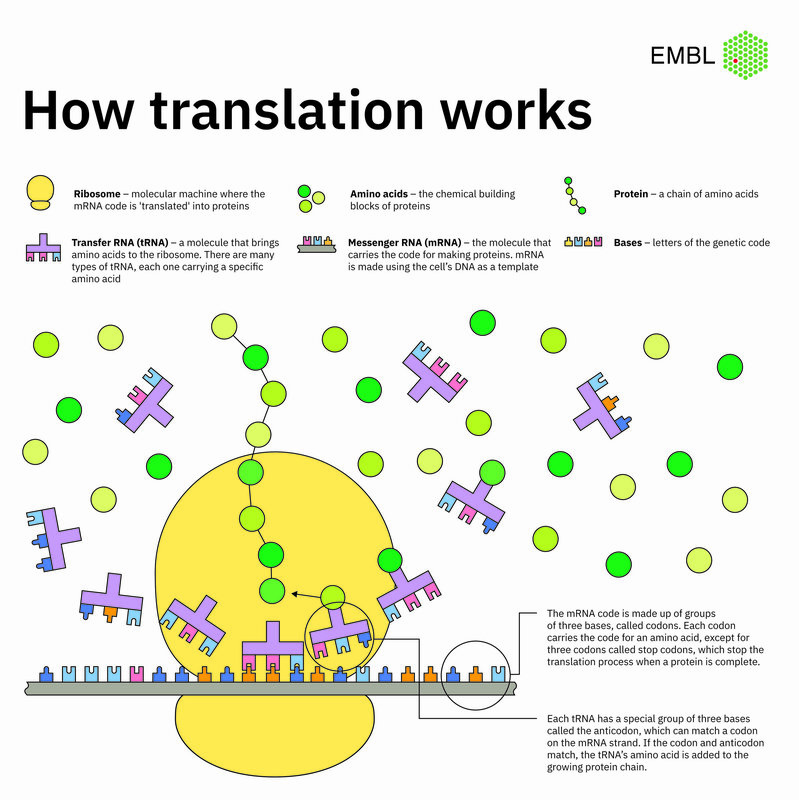 "Our tool can be used to engineer translation, but potentially also other cellular processes like transcription and post-translational modifications. This might even allow us to engineer new types of organelles that extend the functional repertoire of natural complex living systems," explains Christopher Reinkemeier, Ph.D. student at EMBL and JGU Mainz and co-first author of the paper. "We could for example incorporate fluorescent building blocks that allow a glimpse inside the cell using imaging methods." "The organelle can make proteins by using synthetic non-canonical amino acids. Currently we know of more than 300 different non-canonical amino acids – compared to 20 which are naturally occurring. We are no longer restricted to the latter ones," says co-first author Gemma Estrada Girona. "The novelty we introduce is the ability to use these in a confined space, the organelle, which minimises the effects on the host."